1 Which Breed is Bigger? 2 Which Will be Easier to Train? 3 What are their Exercise Needs? 4 How are they with Children? 5 Who has the More Manageable Temperament? 7 Which Breed is Likely to Live Longer? Are on the search for a new dog? Are you interested in owning a big ball of fun, loyalty and fur? Perhaps you have been considering owning one of the most popular hybrid breeds in the country, the humble, but lovable Cockapoo. As Cocker Spaniels and Cockapoos are closely related (Cockapoo is a Cocker Spaniel cross bred with a Poodle, after all), you may be facing the conundrum of whether to stick with your original plan or opt for a Cocker Spaniel instead. Whether you are a first-timer owner or have owned dogs in the past, you’ve come to the right place. If the decision were to be based solely on looks alone, you’d have a hard time picking one or the other as they are both beautiful creatures. Seriously, Google both breeds or check out the pictures on this page. Absolutely gorgeous. That, though, is never a good way to do things. In the following post though, we will look at some of the aspects you need to consider about both breeds that will hopefully help you come to the decision about which is best for you and your household. Size is obviously something you need to think about. It’s likely that you’ve not chosen to look at German Shepherds and Labradors because they are on the bigger side of the spectrum. Both Cocker Spaniels and Cockapoos tend to be on the smaller end of the size spectrum, though you will find that Cockapoos are just a little smaller. Female Cocker Spaniels can range from 36 to 38cm at the withers, with males measuring between 39 and 41cm at the same place. While Cockapoos are normally between 25 and 38cm. When it comes to weight, however, that’s where there is a real difference, with both male and female Cocker Spaniels weighing between 13 and 14.5kg, and Cockapoos being between 5.4 and 10.9kg. Which Will be Easier to Train? Training is another area of dog ownership that is crucial as you want a dog that will obey and listen to you and cause you as little trouble as possible. The Kennel Club has Cocker Spaniels registered as Gun Dogs as they were originally bred for their hunting abilities. Not only are they highly intelligent, but are also famous for being easy to teach new things, making them ideal for first-time dog owners. 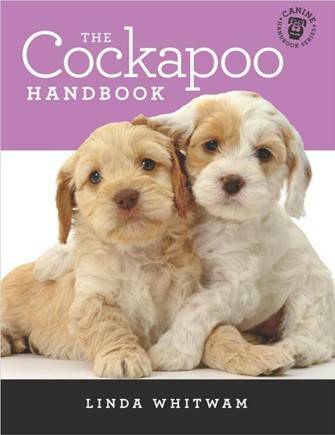 Cockapoos are also known to be very clever (due to Poodles and Cocker Spaniels both having high intelligence levels). However, they require stricter control, but not because they are especially naughty. It is more down to the fact they have a less shorter attention span compared to their ancestors. Therefore, a greater amount of patience and kindness is necessary if you choose to get a Cockapoo. What are their Exercise Needs? All dogs need exercise. However, some need more than others. Generally, Cocker Spaniels are a lot calmer than Cockapoos. Having said that though, when it comes to the exercise needs of both breeds, they need the same amount more or less, which is approximately an hour or possibly more every day. As well as enjoying running around and playing with balls, both breeds excel at various dog sports and are great at obedience and agility training. The good news about both breeds is that they are well suited to children and enjoy spending time with young humans. However, you should always be careful with dogs, just in case things get out of hand. Who has the More Manageable Temperament? The curious thing is that Cocker Spaniels and Cockapoos are very similar with respects to their temperaments. Cocker Spaniels may be real work dogs and very smart, but they also love just chilling with their family. They are also very desirable thanks to their sense of loyalty and how affection and gentle they are. Cockapoos find it very easy to adapt and are also very loyal and affectionate dogs, especially to those that shower them with love. As they are very loyal, the major downside is that the loyalty can change into separation anxiety if you leave them alone too often. Both breeds are rather easy-going, with Cockapoos perhaps being a bit more demanding due to the reasons mentioned above. In terms of their coats, Cocker Spaniels have flat, silky coats with lot of feathering that extends the length, while Cockapoos have coats that depend on the parent breeds they take after more. The fact that Cockapoos don’t shed as much (due to the Poodle in them), this is one of the biggest draws to them. However, you can find Cockapoos that have coats more like Cocker Spaniels and while Cocker Spaniels do shed more, it is still not quite as much as other breeds. It is good practice to ensure that both Cocker Spaniels and Cockapoos have their coats professionally groomed a few times throughout the year. Which Breed is Likely to Live Longer? Another deciding factor you should take on board is the life expectancy of both breeds. Although they are related, there is a big difference between them in this regard, with the average Cocker Spaniel only living between 11 and 12 years, compared to a Cockapoo that could live anything from 14 to 18 years. As you can see, there are great reasons to pick either lovable breed as your new family pet. 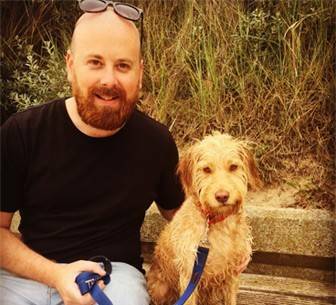 When you take the above factors into consideration, you should be able to find a dog, be it a Cockapoo or Cocker Spaniel, that will be a loyal addition to your household. Remember, though, that when you take on a dog, you have to factor it’s needs as well as yours and those of your family and household.